Late Summer, 1756. 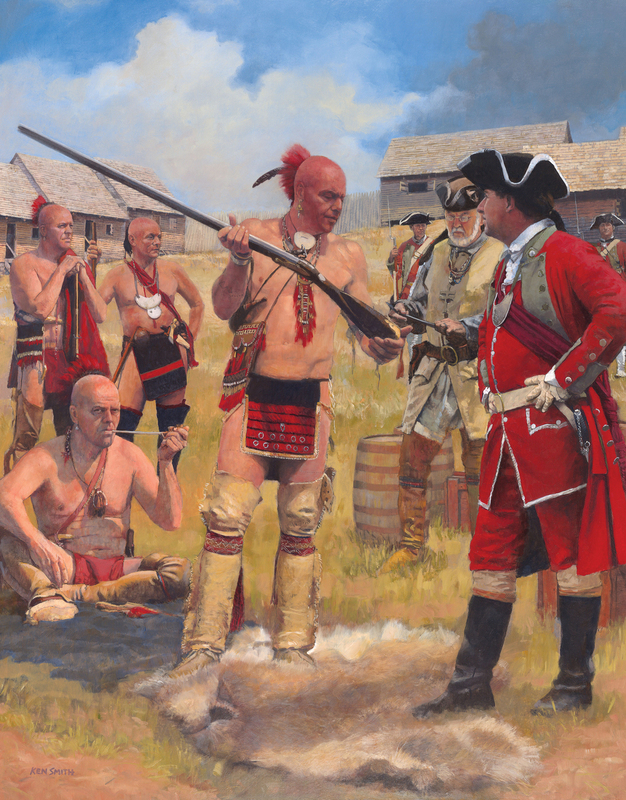 Sergeant William Gibbs of the Independent Company of South Carolina leads a detachment of twenty soldiers and a number of Cherokee warriors, including the chief Attakullakulla, on an expedition from Fort Prince George (near present day Clemson, South Carolina) to Tomately, a Cherokee town located near Chota, the capitol of the Cherokee Nation, in what is now East Tennessee. On arrival, Gibbs was to reconnoiter the area for a new British fortification that would eventually be called Fort Loudoun.